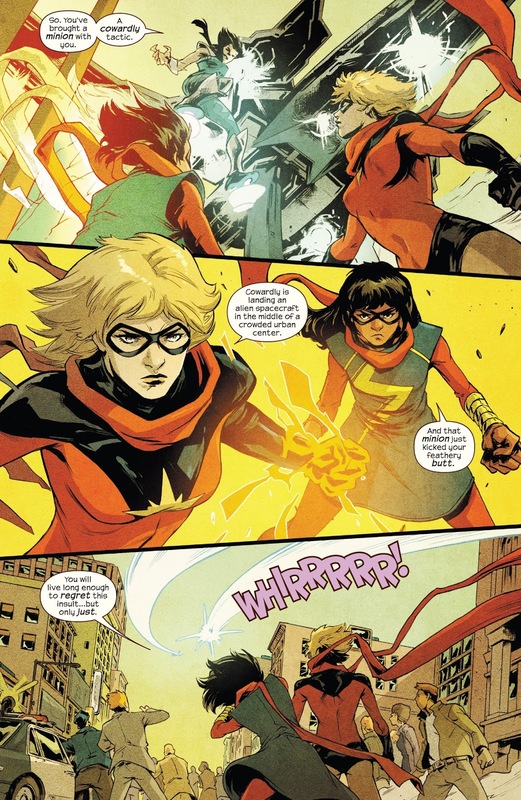 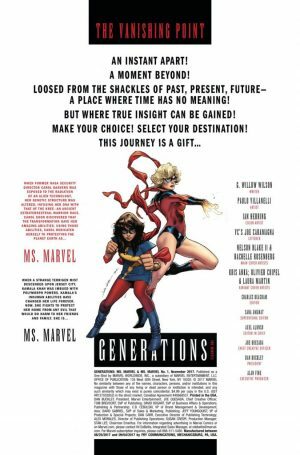 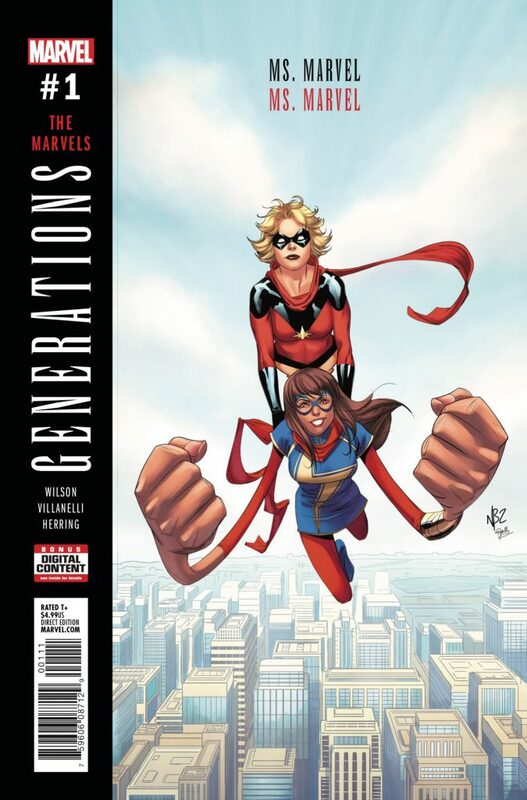 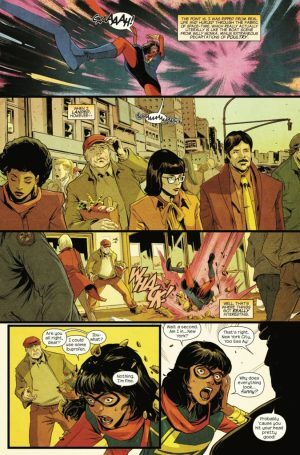 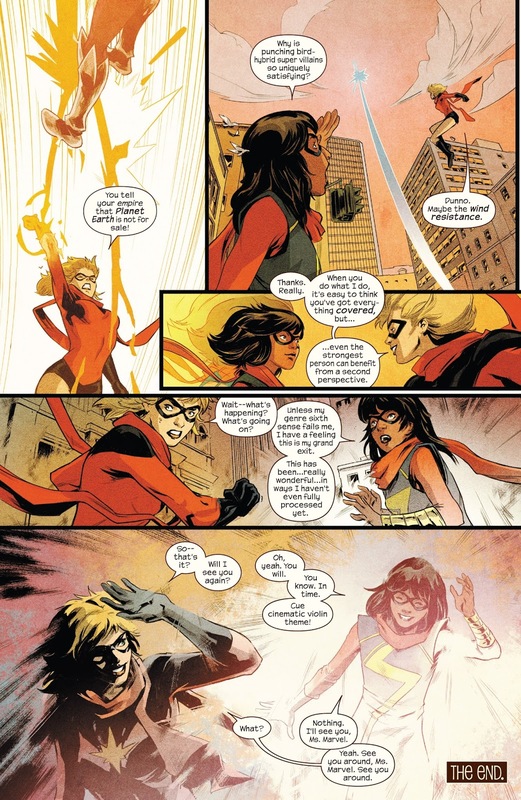 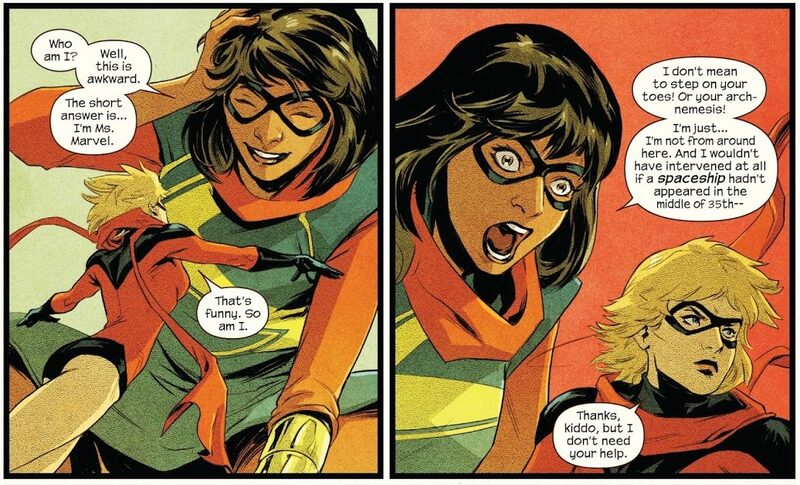 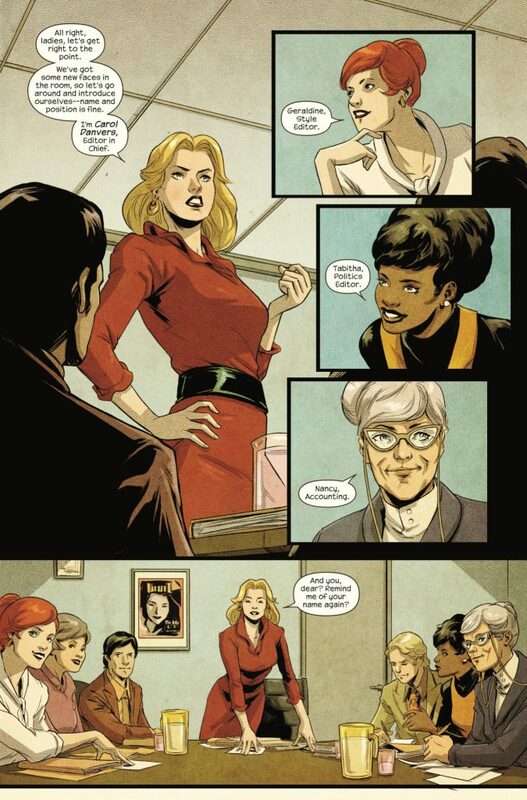 Marvel Comics Legacy Spoilers for Generations: Ms. Marvel and Ms. Marvel #1, The Marvels, follows. We open with the usual credits page and Vanishing Point poem. Now to the net new pieces. Kamala Khan needs to blend into the past so she hits a store and apparently $20 goes a long way. 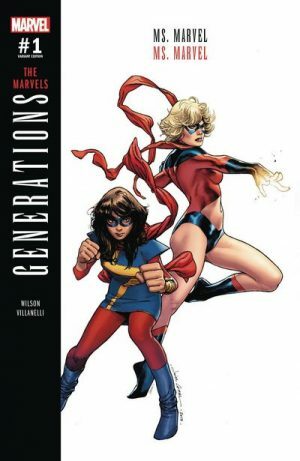 Now we’re full circle to where the book began. 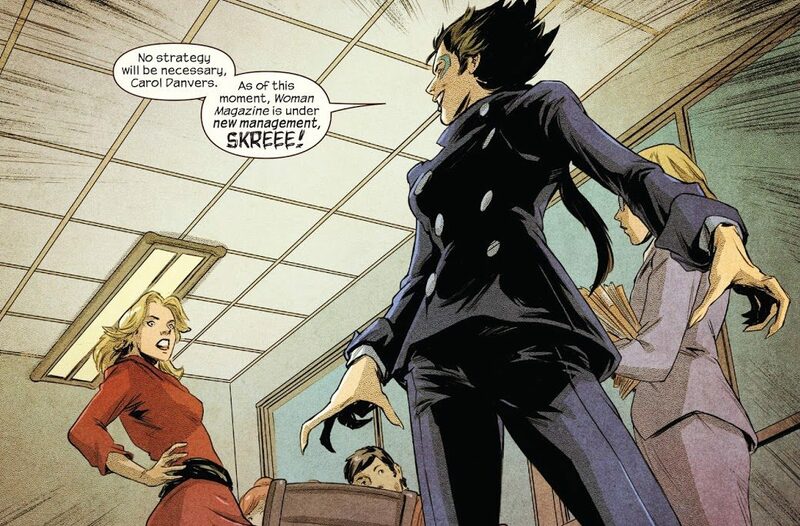 Just then, an alien named Skree attacks and says the magazine is under new management! 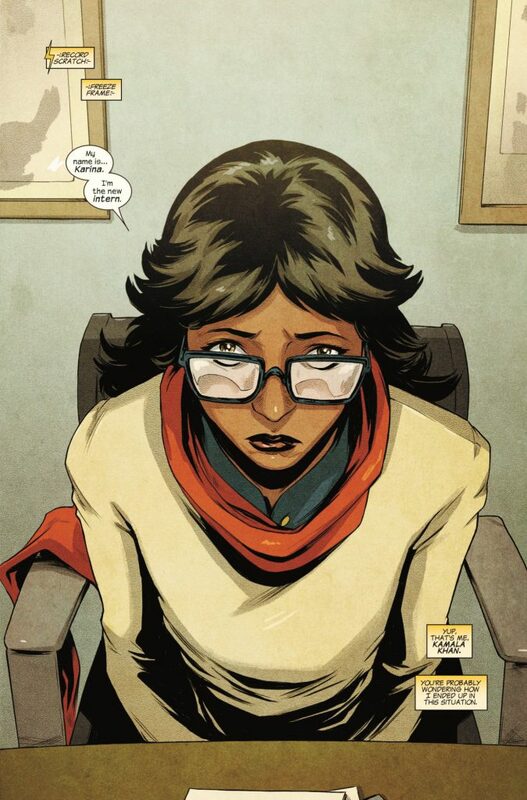 Not because she’s looking for a supervillain-heroine fight, but because she offered J. Jonah Jameson money for the magazine; he’s considering it. 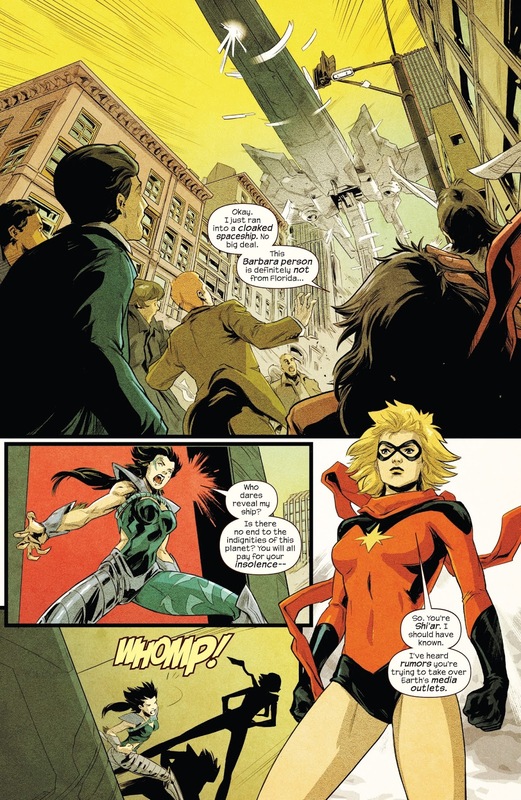 Outside, Ms. Marvel Carol Danvers somehow uncloaks Skree’s spaceship; she is Shi’ar. 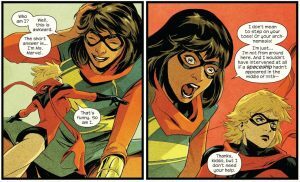 Ms. Marvel Kamala Khan joins the fray and we get introductions. Skree zips away, not wanting the two-on-one odds, and is still waiting for J. Jonah Jameson’s response to her hostile takeover attempt. 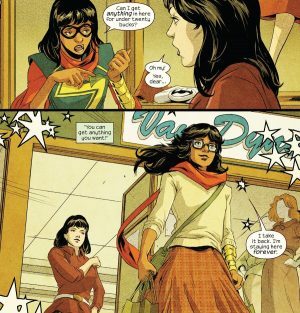 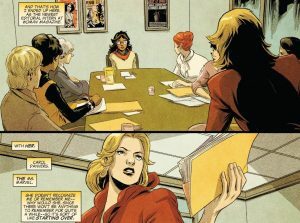 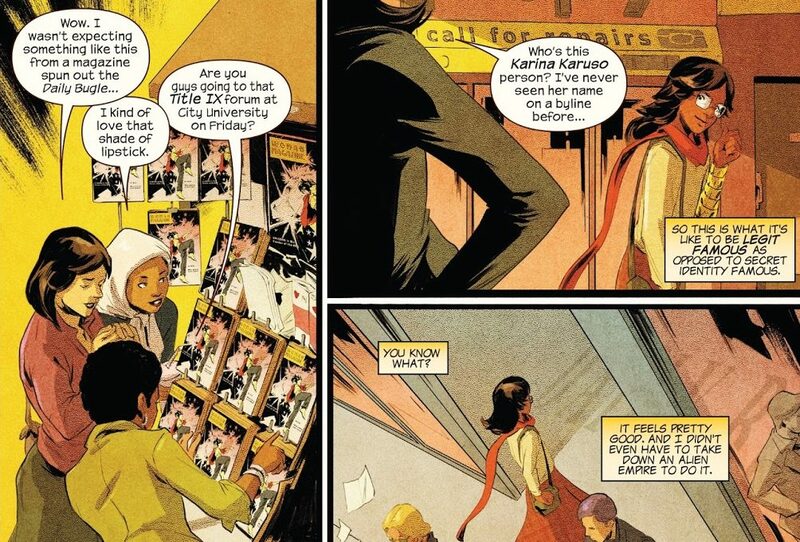 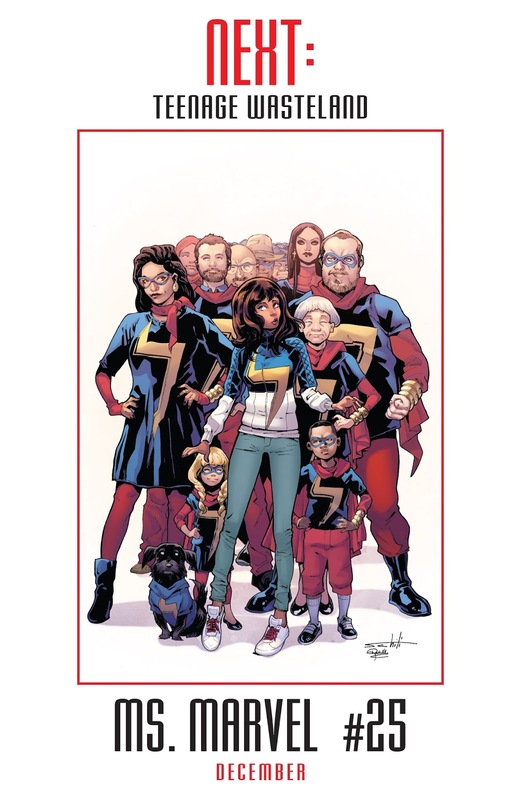 Intern Kamala Khan gets the ok from Carol Danvers for story about not having to give into what the status quo says is stylish which finds an audience among some young diverse teens or young adults. The cover story is well recieved, J. Jonah Jameson says no hostile takeover, and is eager to read more from the new intern. Skree returns, is defeated by both Ms. Marvel, concluding with Kamala Khan being pulled back to the end of Secret Empire and Kobik the sentient Cosmic Cube who initiated her travel in the first place. 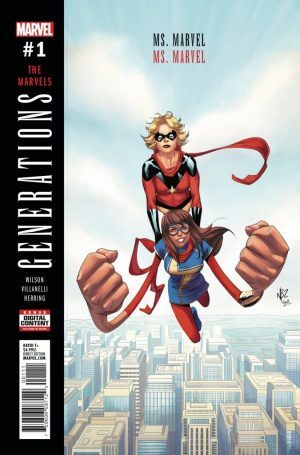 So, what did I think of this issue? 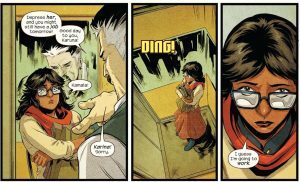 The meat was underwhelming and the travel to and from the past was vague compared to the other one-shots. 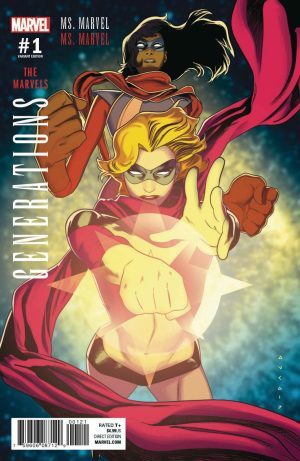 It was interesting, but felt like filler. 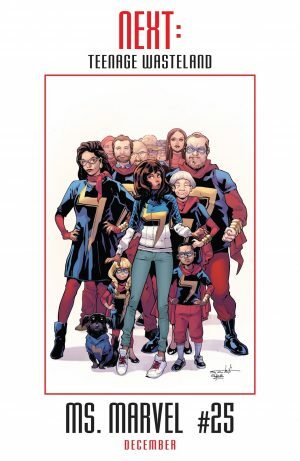 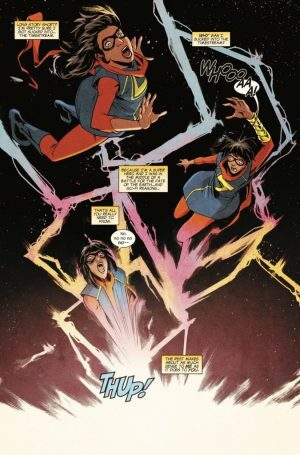 What’s next for Ms. Marvel Kamala Khan? Ms. Marvel #25 in December 2017.